UPDATE: Shortly after midnight on January 31, 2019, Harris attempted to rob a 7-Eleven in Yucaipa. 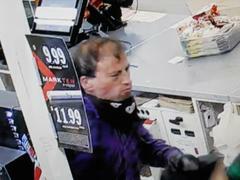 He told the victim/clerk to put money from the register in a bag and threatened him. 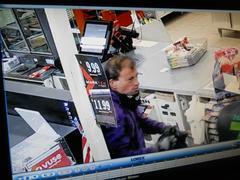 Harris pushed the victim/clerk and the two began fighting. Harris fled the store without any money. The Yucaipa Police Department released surveillance photos from the robbery and multiple citizens called in tips that led to the identification of Harris as the suspect. Later the same day, Harris burglarized a relative’s home and stole the relative’s car. Investigation revealed Harris frequented a park in San Bernardino. On February 1, 2019, detectives and Multiple Enforcement Team deputies from Yucaipa Station went to the park and located Harris with the stolen vehicle. He was arrested for PC664/211, PC459, VC10851 and a parole hold. He was booked into West Valley Detention Center and is being held without bail. Anyone with additional information may contact the Yucaipa Police Department – Detective Bureau. If you choose to remain anonymous, call We Tip at 1-800-78-CRIME.